Decent price for what they are. Worth noting that these are Asda's permanent prices, they're not on special offer. 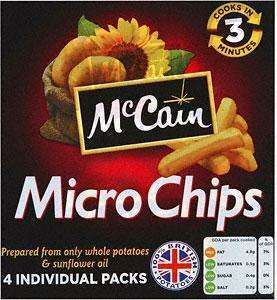 get microwavable chips, put in box = microchips? Same price at morrisons to. This guy really is "thefatcontroller" haha.